Your skin is our highest priority here at NW Face Medical Dermatology. We optimize your natural, healthy skin and preserve its health through preventative care. 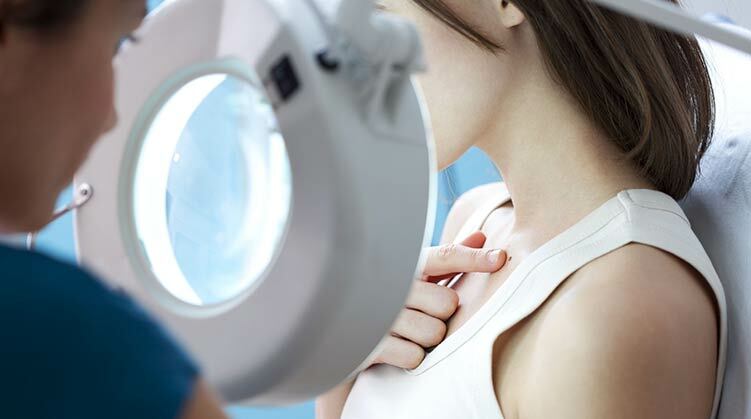 Our team of experienced providers is here to diagnose and treat all your skincare conditions such as skin cancer, psoriasis, moles, warts, acne, eczema, dry skin, excessive sweating, rosacea and pigmentation issues. We have provided the highest quality care to the Kirkland and greater Seattle areas for over 25 years. Our trusted, board-certified Dermatology team takes a comprehensive, personalized approach to caring for your skin. As a full-service dermatology clinic, we strive to provide you with a wide variety of treatment options that may best suit your situation. We acknowledge our responsibility to help you fully understand your skin’s condition, and are here to answer questions before, during, and after your appointments. We want you to be able to make informed decisions about your skin by providing you with the resources you need. From general dermatology to the diagnosis and medical treatment of complicated skin disorders, you can rely on our expertise. We offer professional, trusted medical care and value the confidence you place in our team above all else. Our purpose is to help you thrive by protecting, healing, and nurturing your skin. Each and every member of our team is dedicated to providing you with the best experience and outcomes. We want you to feel comfortable, happy, and healthy in your skin. Now is the perfect time to start taking care of your largest organ, and we are here to guide you throughout every step. It may take an extra set of eyes to notice that something is not quite right. Let us help you prevent future issues by identifying skin conditions in their early stages. Our experts will assess your skin and offer personalized recommendations just for you. Julie Voss is Board Certified and specializes in dermatologic surgery, and has experience treating all conditions of the skin. An active member of the American Society for Dermatologic Surgery, Dr. Voss provides patients with naturally remarkable results. What are some of our Medical Dermatological services?